Dedicate the 21st (Tue) to wine at some of the top wineries in the area. There's much more to do: examine the collection at Prado National Museum, tour the pleasant surroundings at Casa de Campo, admire the masterpieces at Museo Nacional Centro de Arte Reina Sofia, and make a trip to Plaza Mayor. For maps, ratings, and other tourist information, you can read our Madrid trip planner . Sydney, Australia to Madrid is an approximately 25-hour flight. You can also do a combination of bus and flight; or do a combination of train and flight. Due to the time zone difference, you'll gain 9 hours traveling from Sydney to Madrid. In May, daily temperatures in Madrid can reach 28°C, while at night they dip to 13°C. Wrap up your sightseeing on the 23rd (Thu) to allow time to take a train to Cordoba. 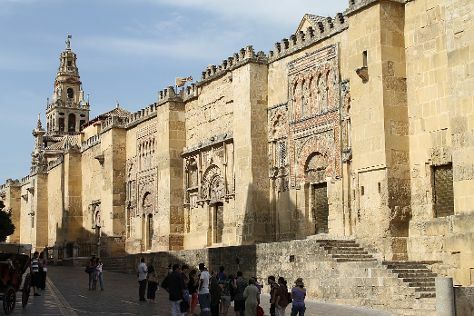 Start off your visit on the 24th (Fri): don't miss a visit to Historic Centre of Cordoba, get the lay of the land with Walking tours, then take a stroll through Jewish Quarter (Juderia), and finally admire the landmark architecture of Mezquita Cathedral de Cordoba. For photos, ratings, more things to do, and more tourist information, read Cordoba trip planner . Getting from Madrid to Cordoba by train takes about 2 hours. Other options: fly; or drive. Traveling from Madrid in May, expect nights in Cordoba to be about the same, around 14°C, while days are somewhat warmer, around 34°C. Wrap up your sightseeing on the 24th (Fri) early enough to take a train to Seville. 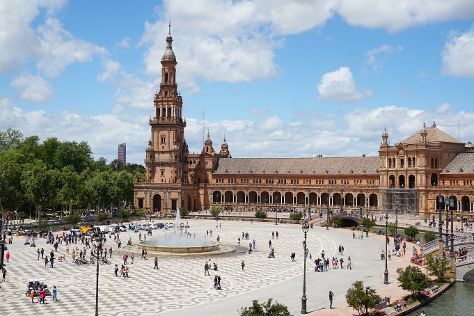 Seville is known for parks, nightlife, historic sites, museums, and fun & games. Your plan includes some of its best attractions: admire the striking features of Plaza de España, don't miss a visit to Metropol Parasol, explore the world behind art at Museum of Fine Arts, Sevilla, and get in on the family fun at Isla Magica. To see more things to do, maps, where to stay, and more tourist information, use the Seville travel route planner . Traveling by train from Cordoba to Seville takes an hour. Alternatively, you can drive; or take a bus. Traveling from Cordoba in May, expect nights in Seville to be about the same, around 17°C, while days are slightly colder, around 30°C. Cap off your sightseeing on the 30th (Thu) early enough to go by car to Cadiz. Cádiz is a city and port in southwestern Spain. Kick off your visit on the 31st (Fri): savor the flavors at Ya En Tu Casa - El sabor de Andalucía, then learn about winemaking at Bodegas Luis Perez, then test your team's savvy at popular escape rooms, and finally don't miss a visit to Feria del Caballo. Here are some ideas for day two: let your taste buds guide you at a local gastronomic tour, then make a trip to Alameda Apodaca, and then enjoy the sand and surf at Playa de Atlanterra. For other places to visit, reviews, where to stay, and tourist information, use the Cadiz sightseeing planning website . Drive from Seville to Cadiz in 1.5 hours. Alternatively, you can take a train; or take a bus. Expect slightly colder weather when traveling from Seville in May: highs in Cadiz hover around 27°C, while lows dip to 17°C. Cap off your sightseeing on the 1st (Sat) early enough to go by car to Ronda. Ronda is known for historic sites, nature, museums, nightlife, and wineries. Your plan includes some of its best attractions: learn about winemaking at Bodega Garcia Hidalgo, explore the stunning scenery at El Tajo de Ronda, get great views at Mirador puente nuevo de Ronda, and take a memorable tour with Tours. To find reviews, where to stay, and other tourist information, read Ronda trip itinerary maker website . Drive from Cadiz to Ronda in 2 hours. Alternatively, you can take a bus; or do a combination of train and bus. When traveling from Cadiz in June, plan for a bit warmer days in Ronda, with highs around 37°C, while nights are about the same with lows around 19°C. Wrap up your sightseeing on the 7th (Fri) early enough to drive to Marbella. Venture out of the city with trips to Fuengirola (Playa Ronda Paco & Rio Fuengirola Pedestrian Bridge), Casares (Riding Fun In The Sun & Casares Cemetery) and Adventure Rider Centre (in Mijas Pueblo). There's lots more to do: test your team's savvy at popular escape rooms, take in the spiritual surroundings of Iglesia Mayor de la Encarnacion, discover the deep blue sea with a scuba or snorkeling tour, and take a stroll through Marbella Old Quarter. Quickly create a custom-made itinerary for Marbella using our trip planner. Getting from Ronda to Marbella by car takes about 1.5 hours. Other options: take a bus. When traveling from Ronda in June, plan for a bit cooler days and about the same nights in Marbella: temperatures range from 33°C by day to 21°C at night. Wrap up your sightseeing on the 12th (Wed) to allow time to drive to Nerja. Nerja is a municipality on the Costa del Sol in the province of Málaga in the autonomous community of Andalusia in southern Spain. Nerja is known for nature, beaches, nightlife, historic sites, and museums. Your plan includes some of its best attractions: tour the pleasant surroundings at Playa El Salon, explore the activities along Río Chíllar, don't miss a visit to Balcon de Europa, and enjoy the sand and surf at Playa El Playazo. For traveler tips, photos, where to stay, and more tourist information, go to the Nerja sightseeing planner. Drive from Marbella to Nerja in 1.5 hours. Alternatively, you can take a bus. Plan for a bit cooler nights when traveling from Marbella in June since evenings lows in Nerja dip to 17°C. Cap off your sightseeing on the 18th (Tue) early enough to go by car to Granada. Spend a day outdoors on the 21st (Fri) with Sierra & Sol. 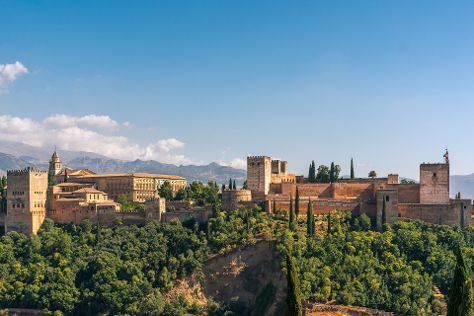 There's still lots to do: step into the grandiose world of Alhambra, appreciate the extensive heritage of Mirador de San Nicolas, admire the natural beauty at Generalife, and indulge your senses at some of the top wineries in the area. To see more things to do, other places to visit, ratings, and more tourist information, go to the Granada road trip website . Traveling by car from Nerja to Granada takes an hour. Alternatively, you can take a bus. Expect a daytime high around 35°C in June, and nighttime lows around 19°C. On the 25th (Tue), you're off tohome.